I just love her style of illustration and lettering! When its paired with adorable greeting cards what's a girl to do? Esther is based in the Netherlands and has an out of this world portfolio, just take a look at her typography! The faces she puts on inanimate objects are so charming, i.e. tea bags + staplers. *the mittens above are designed by hello lucky. 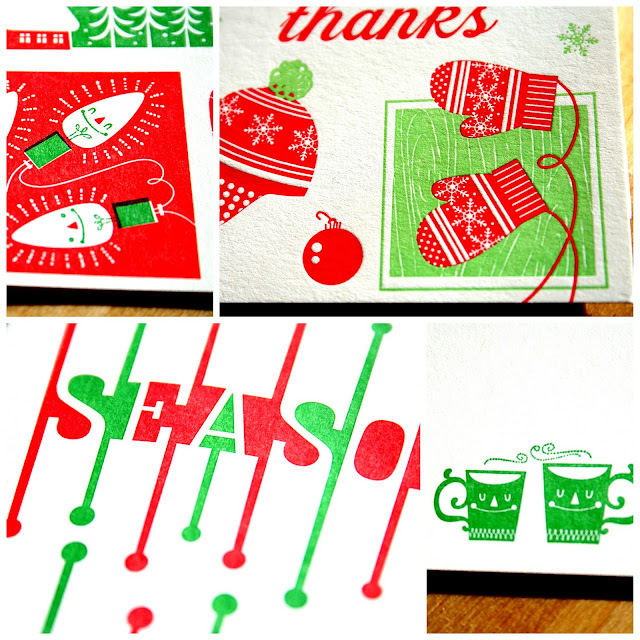 I never really liked red and green together but I could not resist these cards! Design trumps color always. Also, it's always a relief when I've finally picked out my holiday cards for the year. I purchased the above cards from hello lucky's online shop.